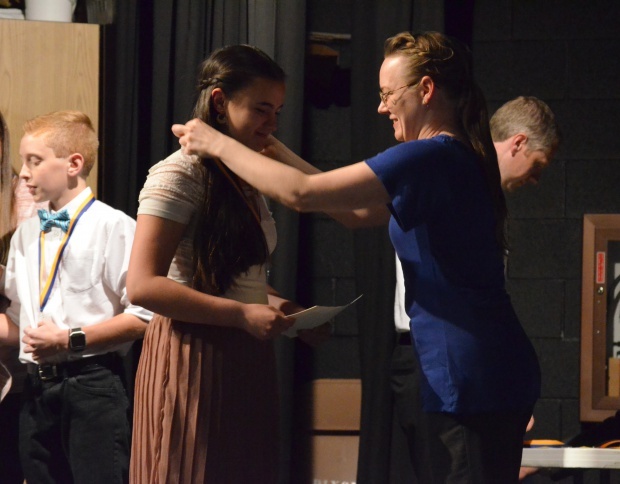 On Monday evening, parents and teachers joined together to honor and celebrate some of the outstanding achievements our 8th grade students have accomplished over the last two years at Dixon. 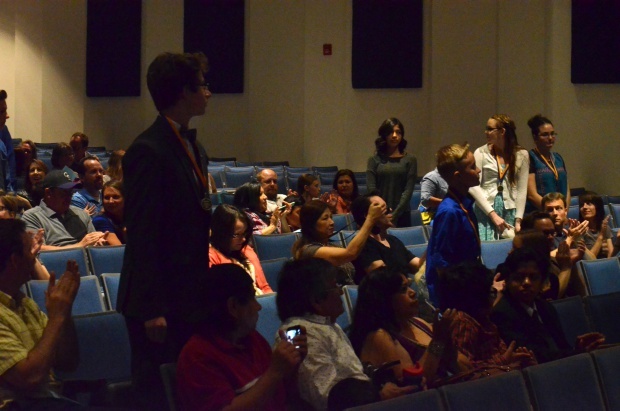 Teachers wait on stage to give their awards to the chosen students. Teachers in every department had been asked to select two students, a boy and a girl, that had displayed not only exemplary work in those subjects, but had worked hard to improve and who displayed overall the attitude and motivation necessary for them to succeed. Camryn Guzman recieves her medal for being honored by the Orchestra department. 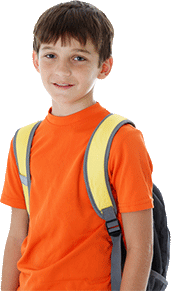 Many students honored face challenges, whether personal or physical, which they overcome on a daily basis to excel in these subject areas. While students with high GPA’s and other achievement such as passing I Can statements were recognized, teachers went beyond the gradebook in their recognition. 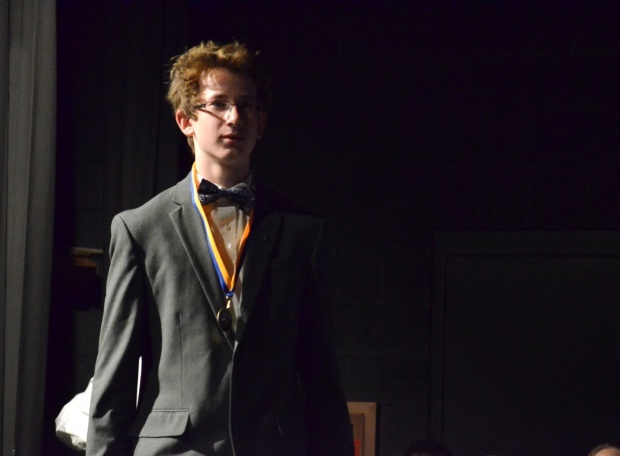 Luke Uhl crosses the stage after being honored by the English Department. Each student was called to the stage and awarded a certificate and medal from a teacher from the department that nominated them. 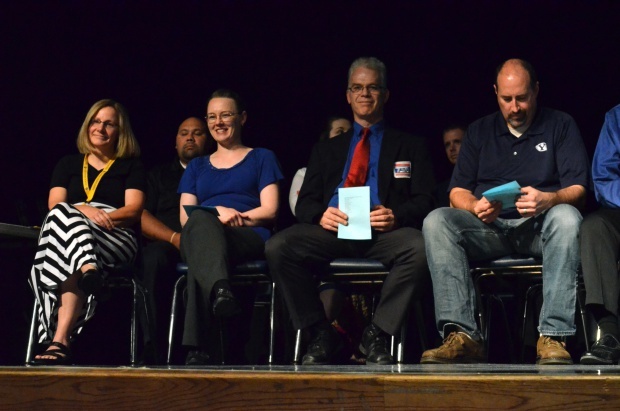 Leadership students read names and short explanations of what the students had done to deserve the award. 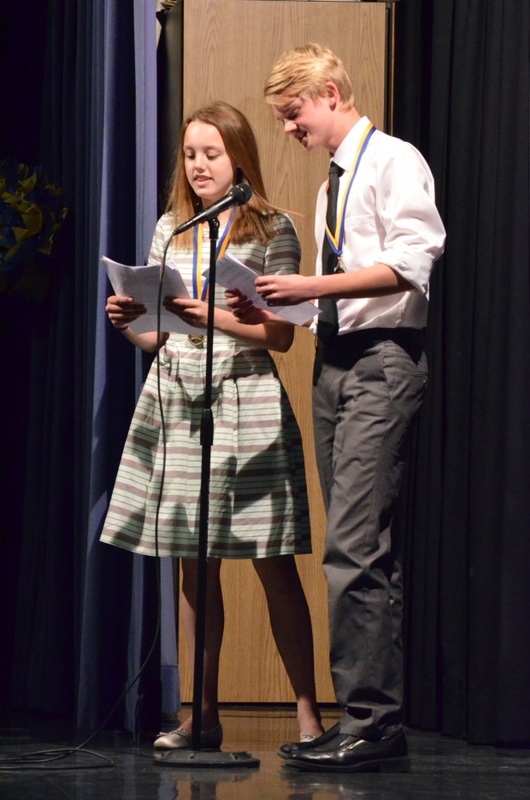 Our Leadership students carry the night along by reading off the awards. 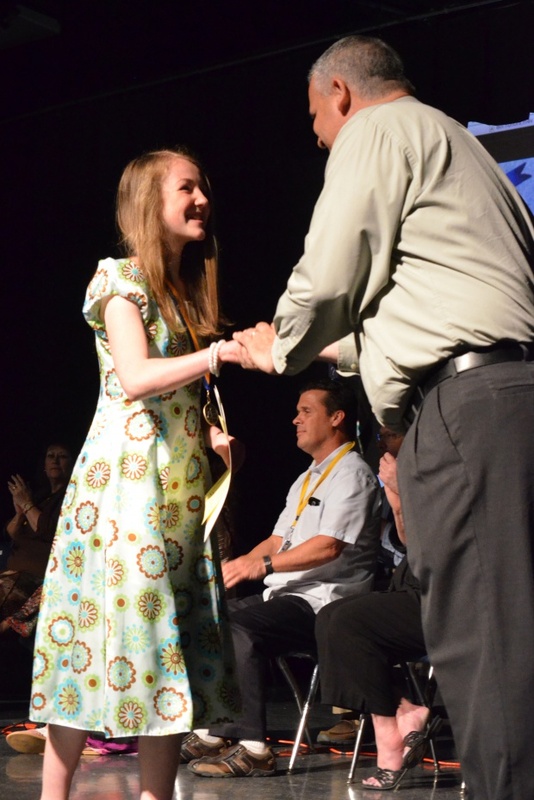 Myesha Gilliland shaking Mr. Sites’ hand after receiving her award from the Math Department. 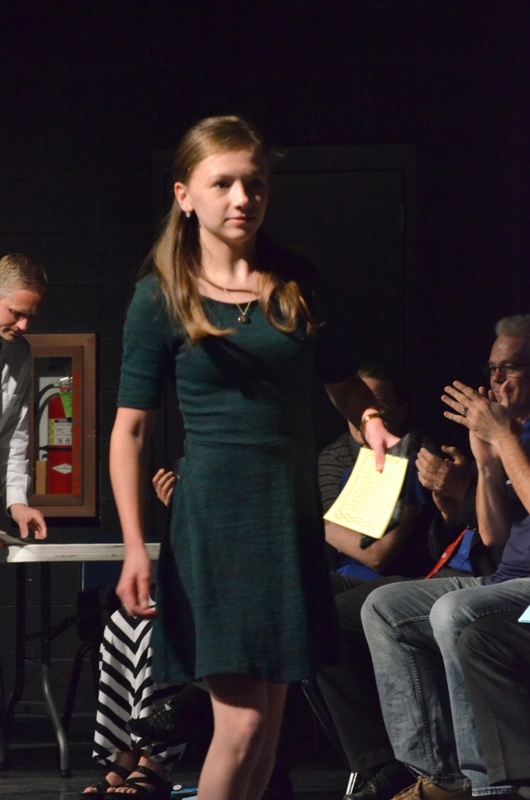 Alyssa Lunt crosses the stage after receiving her Principal’s Award. 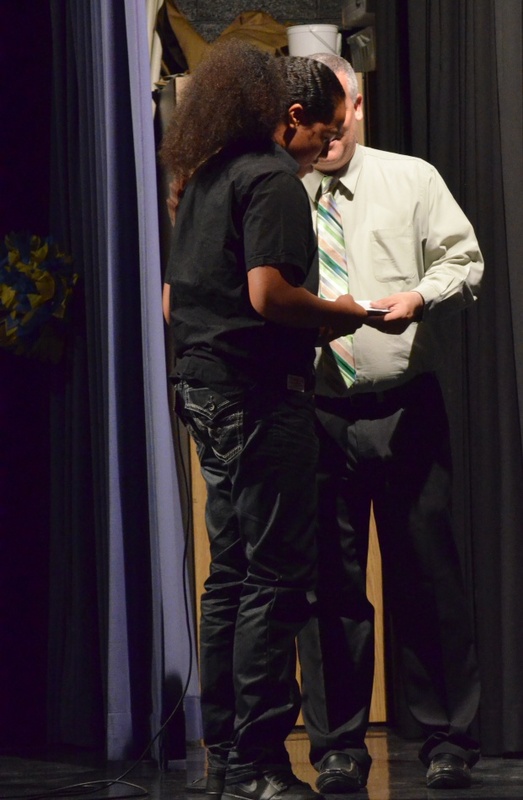 Sione Fungalei receives his Principal’s Award from Mr. Sites. You can see all the photos taken in our facebook album!